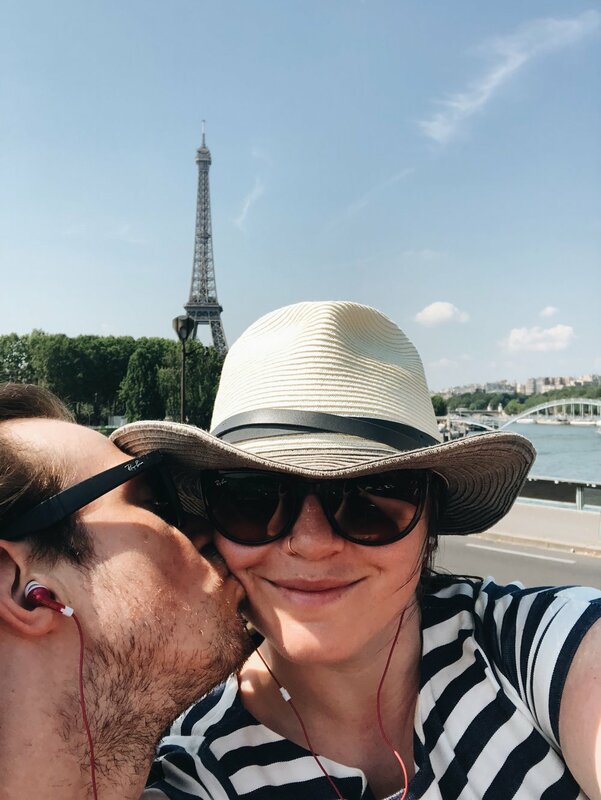 In the summer of 2018, my husband, Spencer, and I celebrated 15 years together, and chose to celebrate with another trip to Europe - this time, in the Alps! 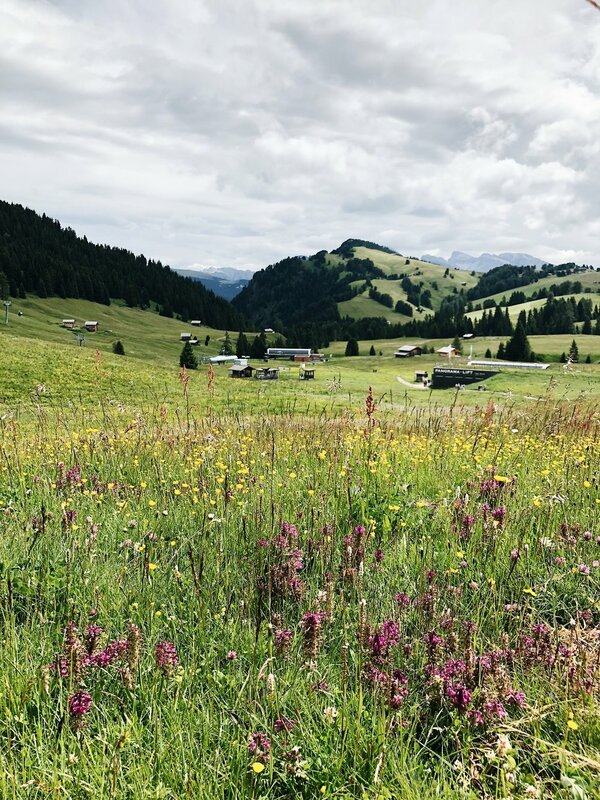 Across five different European countries - Austria, Italy, Germany, Switzerland, and France - we explored the amazing Alpine Europe region on a ‘My Way’ tour with Rick Steves’ Europe. 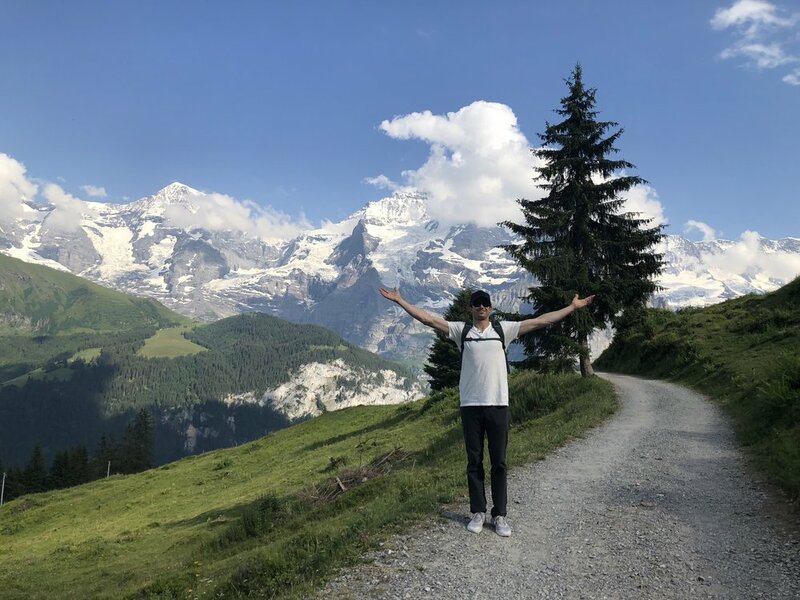 Explore the Scrapbook below for info on trip planning, why we chose to travel with Rick Steves’ Europe, our full itinerary, a few of our favorite spots, and reflections about our off-the-beaten path tour of the Alps. As a young couple, traveling in Europe has forged strength, resilience, and mutual respect into our relationship. We have more confidence - in ourselves & each other. In 2015, we were sitting in our living room in our home state of Colorado. We had been together for 12 years, had the white picket fence house, a cute dog, and great paychecks - but we were bored. We had checked off all the boxes, and yet we felt like we really hadn’t seen the world. At age 30, neither of us had ever left North America. And the rest is history. 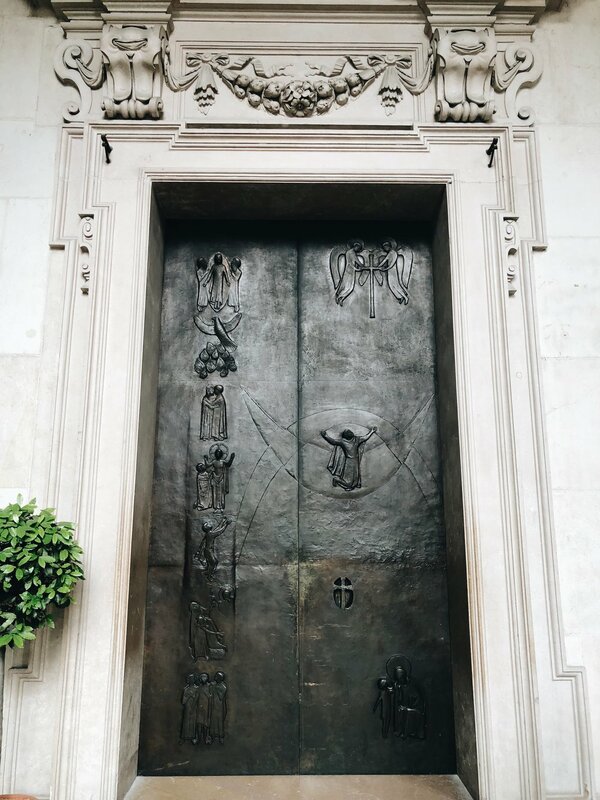 In 2015, we used Rick’s guidebooks to plan a trip to London and Scotland. In 2016, we went on a Rick Steves guided tour in Italy. And in 2017, Anne traveled to Europe solo for this first time, successfully employing everything she’s learned. Traveling in Europe with Rick Steves gave us renewed confidence, and was a catalyst to pursue new roads in our life. When we returned from our first trip in 2015, inspired by a conversation we had in Glasgow, Scotland, Spencer quit his job, and started to pursue his dreams of a career in health and fitness. 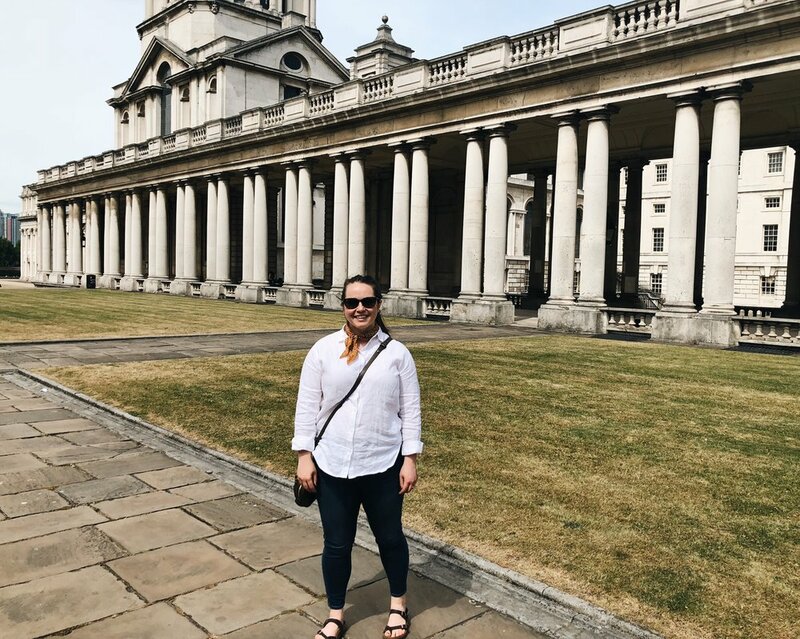 After a rough bout with Lyme Disease in 2016, their tour of Italy helped Anne reconnect with herself, and motivated her to finish her graduate school applications. And in 2017, Anne’s solo trip to Scotland was a part of a research conference with her new doctoral program - at Yale University. And as we broaden our horizons, we’ve broadened our love for one another. To celebrate our 15th anniversary in 2018, we decided to plan a 3-week trip to Europe. 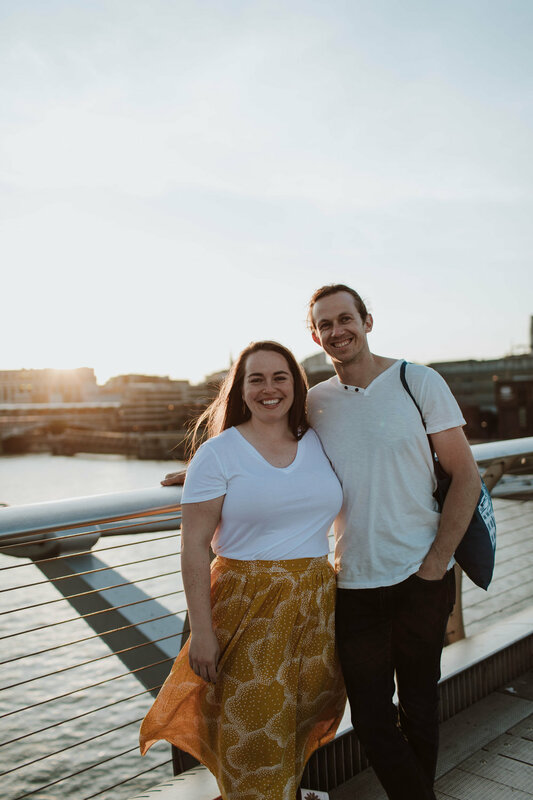 Eager to get away from the big cities and explore new natural landscapes, we signed up for the My Way: Alpine Europe in 12 Days trip with Rick Steves, with a pre-trip stop in London, and a post-trip visit to Paris. This trip was the culmination of more than just 3 years of a newly found passion for travel. It was a celebration of our commitment to trying new things and taking risks, our eagerness to learn, and our commitment to a healthy relationship. Spencer is a mechanical engineer. 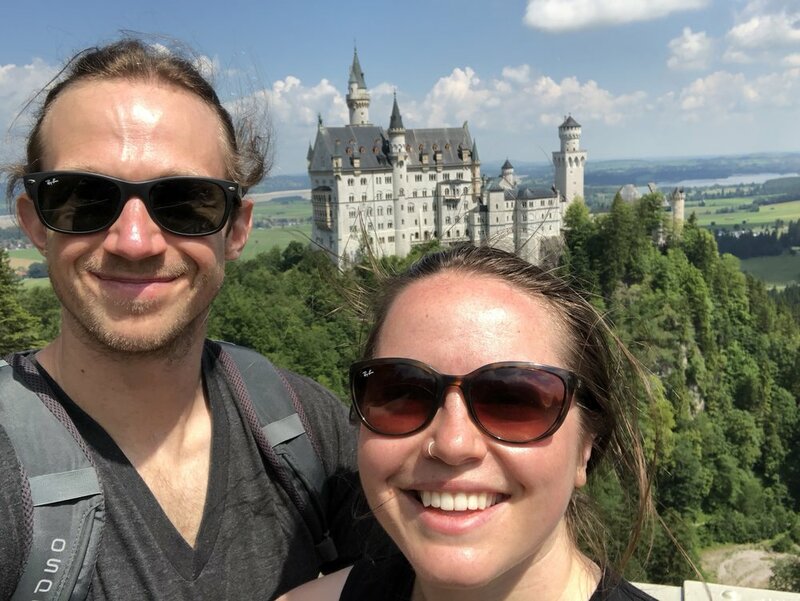 He also hails from Colorado originally (in fact, Spencer and Anne are high school sweethearts), and has a passion for extreme sports - especially snowboarding and riding BMX bikes! In 2017, he chose to take a break from engineering to pursue his passion for functional health and fitness, and now works full time as a CrossFit and nutrition coach. Anne is a writer and PhD student at Yale University. Originally from Colorado, she has a BA in religious history, and worked as an outdoor educator before deciding to go to graduate school to become a professor. She now studies culture, religion, and nationalism in the Sociology department at Yale. She is the main author of this Scrapbook. So, that’s us! And we hope you enjoy our scrapbook! Spencer and I both grew up in a very small town - only 4,000 people. 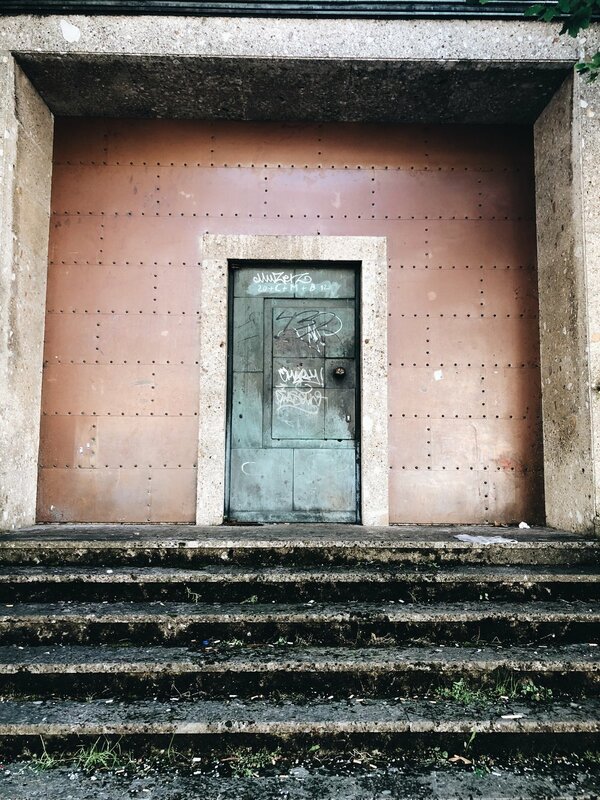 And about the time we took our first European trip in 2015, we were feeling like we were giving into the age-old adage, “Small towns. Small minds.” We wanted to try new things. We didn’t want to live in fear of what we didn’t understand - especially as the world becomes more and more connected. Traveling not only opens our eyes and minds and hearts - we emerge from each trip liking ourselves mores. As we test ourselves under various conditions, and broaden the margins of or experiences, we become more confident. We like what we see - around the world, and within ourselves. We will always travel the “Rick Steves Way” going forward. What do I mean by that? I’m so glad you asked! The Italian Alps. Seis, Italy. 2019. The My Way tour format presented a new challenge. Unlike the fully guided Heart of Italy in 9 Days tour we went on in 2016, the My Way tours, though they still plan your hotels and transportation while on trip, are designed to be more independent. They are not fully guided and do not arrange museum experiences or cultural excursions. Though there is a helpful tour manager, each day, we are generally on our own! With this in mind, this trip took a bit more planning on the front end, and we learned so much putting skills we’ve learned from past tours and trips into practice. 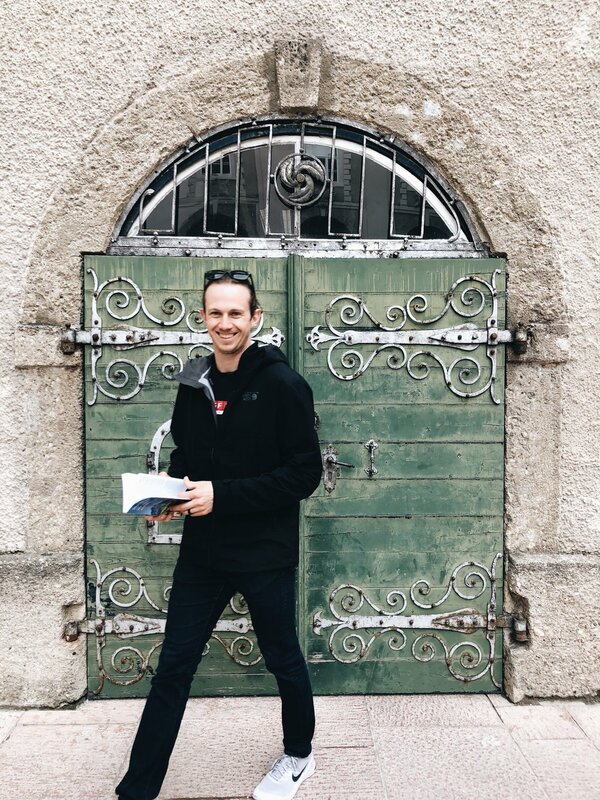 Spencer using the guidebook in Salzburg. do your homework - read the guidebook! Buy the suggested guidebook - and read it! For the independent My Way tour, we knew that we were on our own for planning our daily activities for each stop along the way, and the guidebook provided for the tour gave us great ideas and helpful tips, especially about general knowledge about the history, culture, and language, as well as planning ahead and making reservations at the big sights. We didn’t want to waste time waiting in lines or missing out because we didn’t proactively plan our activities. Gotta put those pennies we saved for the trip to good use! 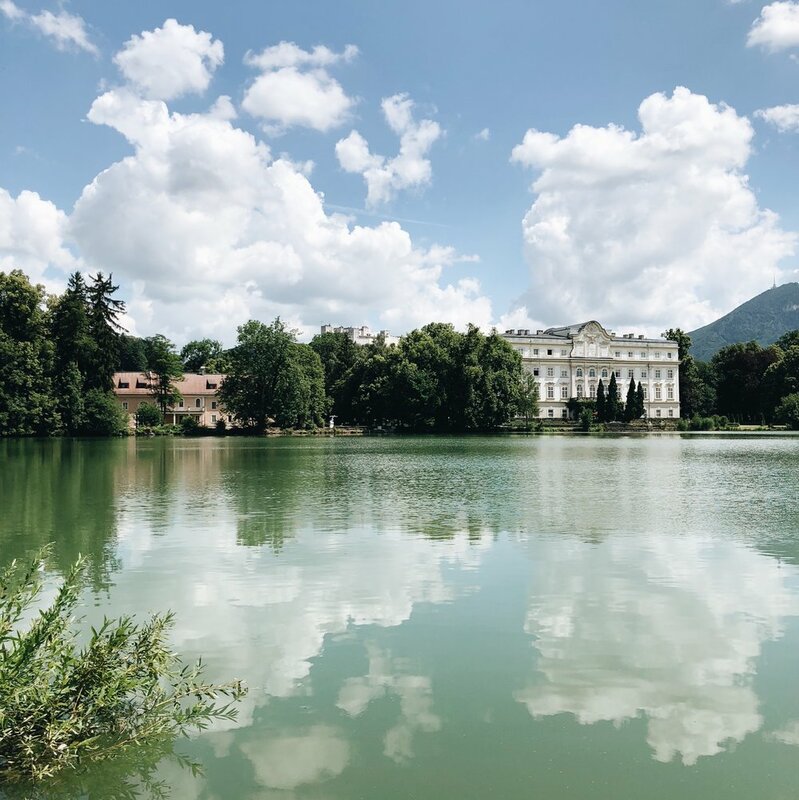 For instance, we knew we wanted to go on a Sound of Music bike tour in Salzburg, and the guidebook suggested a few companies. I did a bit more research, read some reviews, and chose what turned out to be an amazing company (Fräulein Maria´s Bicycle Tour!). We had a blast, and most definitely had more fun than if we had waited until the morning of to book - they would have been sold out! The guidebooks are carefully researched, and updated each year. They’re there to help you have the best trip possible - so, as Rick says, be a good student! Do your homework! and for the slow days where reading is a drag, watch rick steves’ videos! 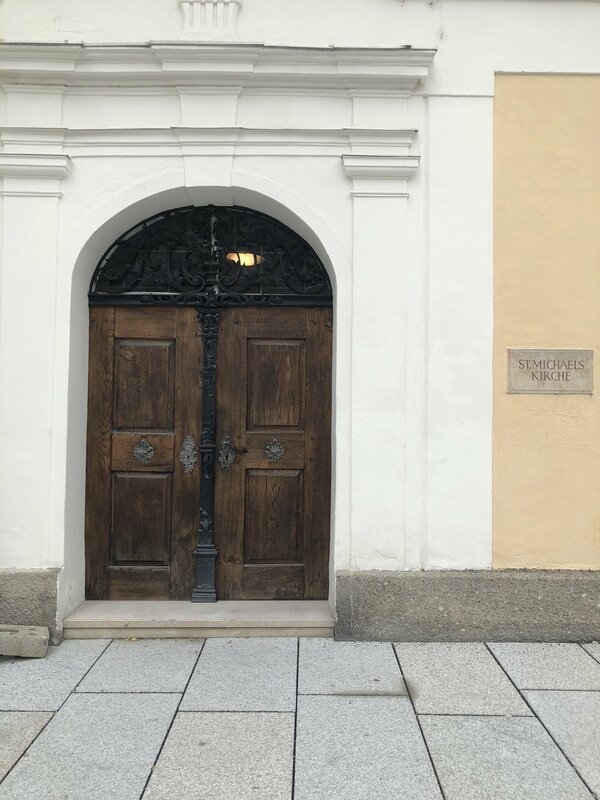 A full episode of Rick Steves’ Europe in Salzburg! 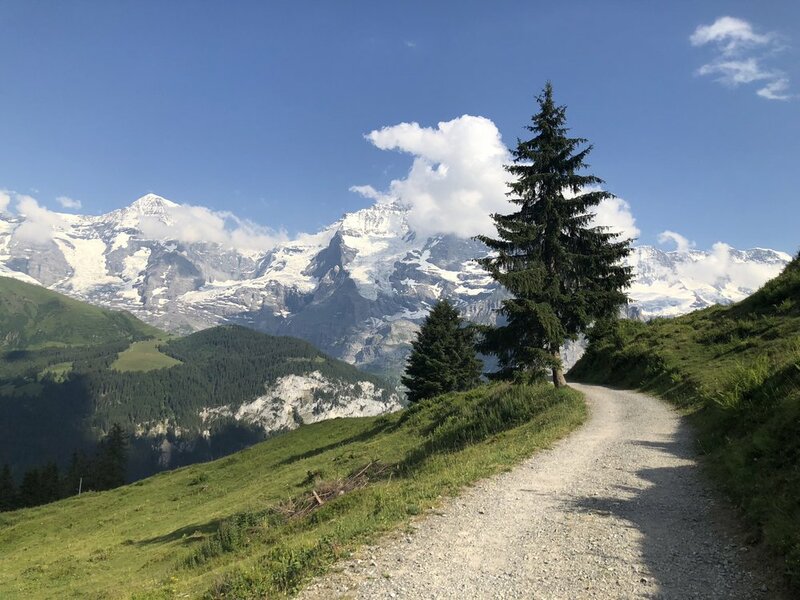 Rick’s video blog from the My Way Alpine Europe trip he led. In terms of packing, on Rick Steves’ tours in Europe, each traveler is only allowed to bring one carry-on sized suitcase. When we first started traveling the “Rick Steves way” in 2015, I found this to be so hard. I bought all the compression packing bags I could from the Rick Steves online travel store, and stuffed as much as I could inside. Take it from me: this is no way to travel. Pack light! The reasoning for the one bag allowance is simple: when you pack light, you can do more, more easily. No one carries your bags for you on Rick’s tours! With each trip to Europe we take, my bag gets lighter and lighter. I used to be so worried that I needed to bring loads of options because Europeans generally dress smarter than Americans (they don’t usually wear baseball caps or sweatpants out and about, for example). But more isn’t better. For our 12 day tour, I took one carry-on bag with 2 pairs of shoes (a walking shoe, and a dressier shoe), a rain jacket, 1 pair of jeans, 1 pair of shorts, 1 skirt, 2 blouses, 1 tshirt, a scarf, and 1 dress. I also carried a backpack for my journal, guidebook, and sunscreen. Spencer packed even lighter! One day, I’ll catch up to him! 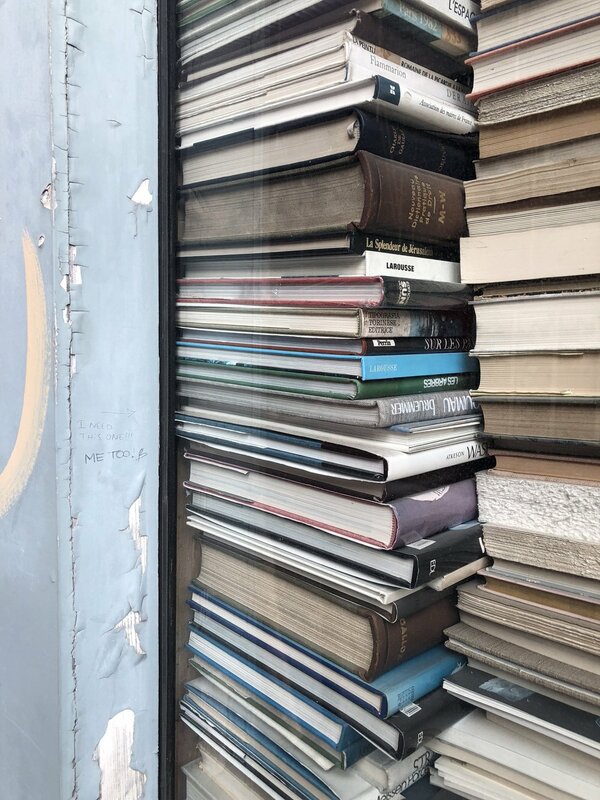 A french bookstore in the Marais. Though many in Europe speak English, some don’t - and all appreciate when you attempt to speak their language. It really is a matter of respect (if someone walked into your business, and demanded you speak their language, what would you do?). It’s also really fun! 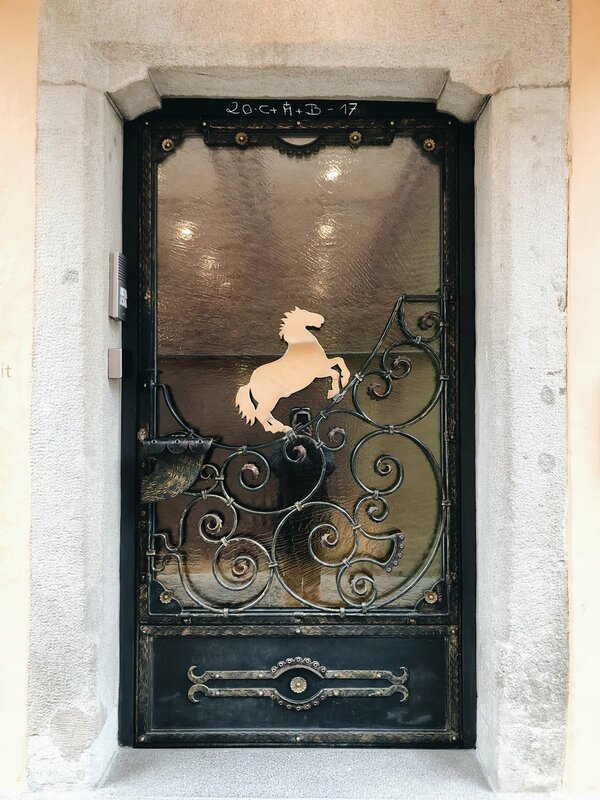 Buy the phrasebook (we used the Rick Steves “French, Italy, and German” one), and download the “Google Translate” app for your phone to help you navigate longer, trickier signs and situations. We loved practicing phrases together. Walking through Salzburg on the way home from dinner, repeating “Entschuldigung” (German for “excuse me”) over and over. Falling asleep at night, one of us would randomly say, “le chèque s'il vous plaît” (French for “the check, please”). It’s such a funny memory, and helped us be more confident travelers! 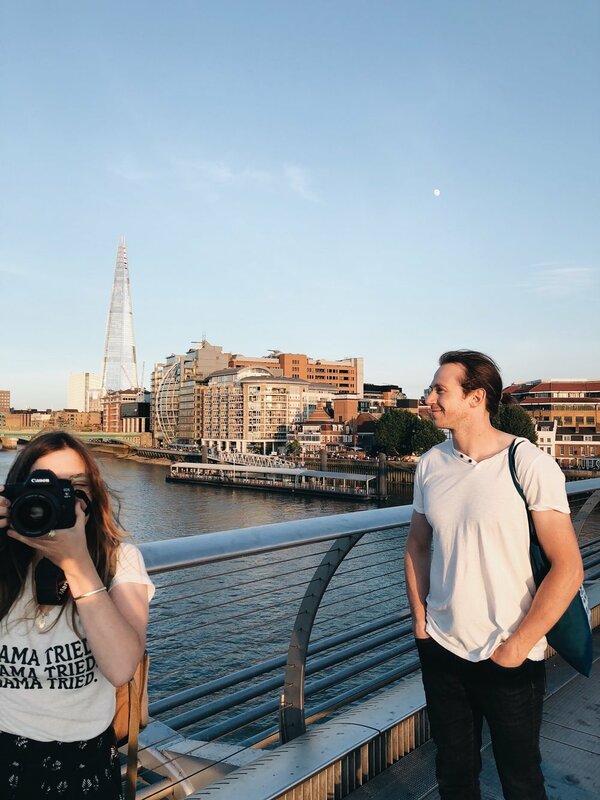 A 3-day pit stop in London! 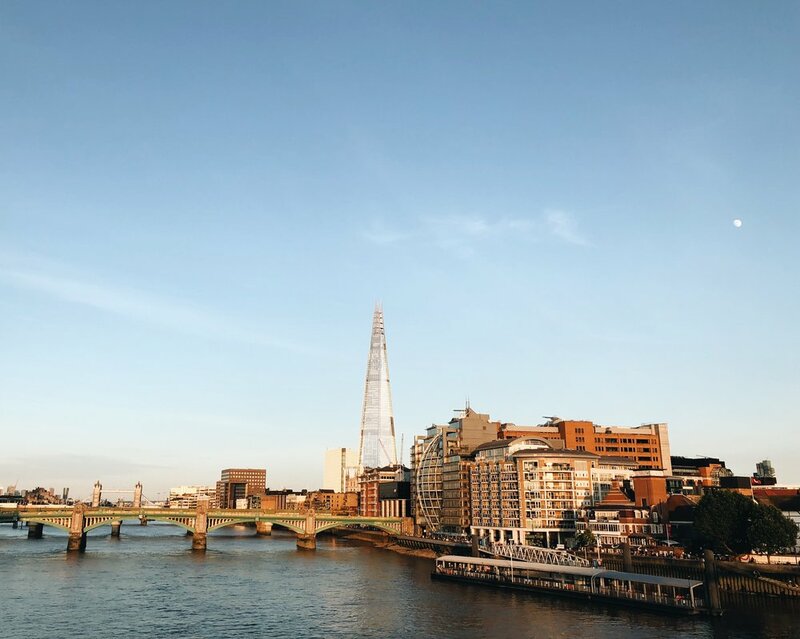 We absolutely love London. Since so many affordable flights to Europe have connections there, we often choose to stop there for several days to help fight jet lag. We use it as a home base to kickstart our tours. 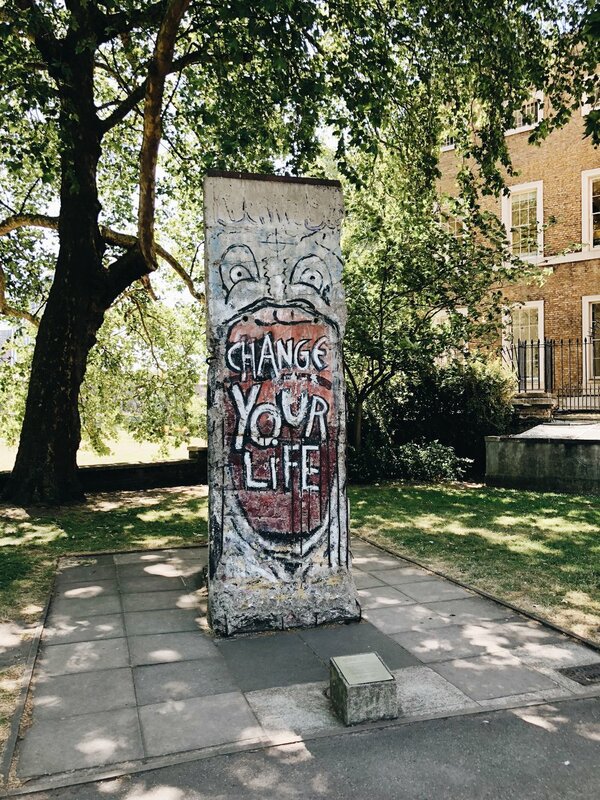 Others may choose to do this in other countries, but as an Anglophile, and a British-American historian, the more time I can spend in London, the better! We book a room in a comfy hotel, prioritize sleep and healthy food, and get outside to walk around to fight that jet lag. Since sleep is usually off for a few days, we would rather get that worked out before the tour begins so we can maximize our trip! Our My Way: Alpine Europe tour begins! We flew from London to Salzburg and met up with our tour group at our hotel. After a brief orientation, our tour had officially begun! 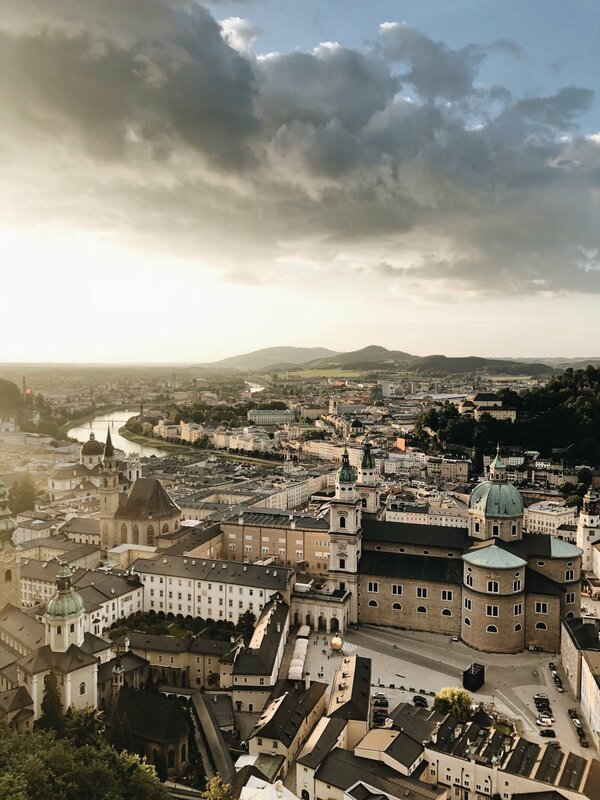 We spent two full days in Salzburg. Read the posts below for details. Spencer is a CrossFit coach - it’s his dream job! And since it is a worldwide sport, we knew we had to check out a CrossFit gym while we were on this tour. 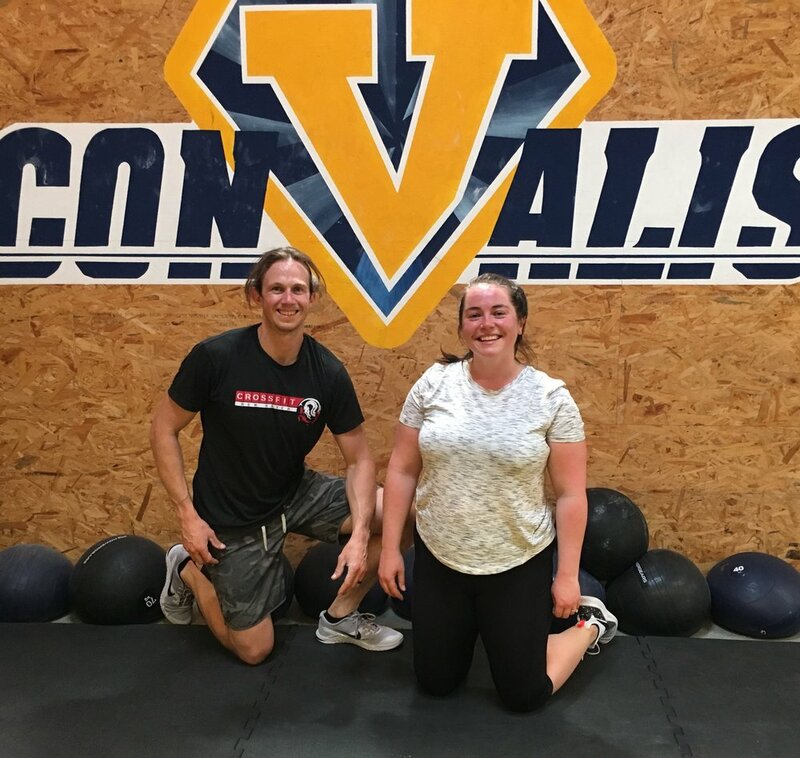 In this post, Spencer writes all about our experience at CrossFit Convalis in Salzburg (including how the class was taught entirely in German!). 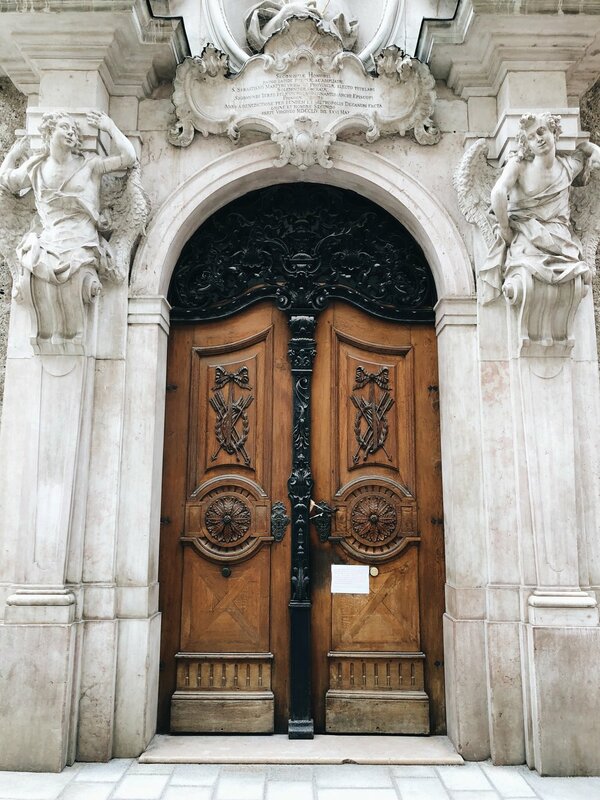 When we were in Salzburg, I became fascinated with the ornate, elaborate doors I kept seeing all over the city. 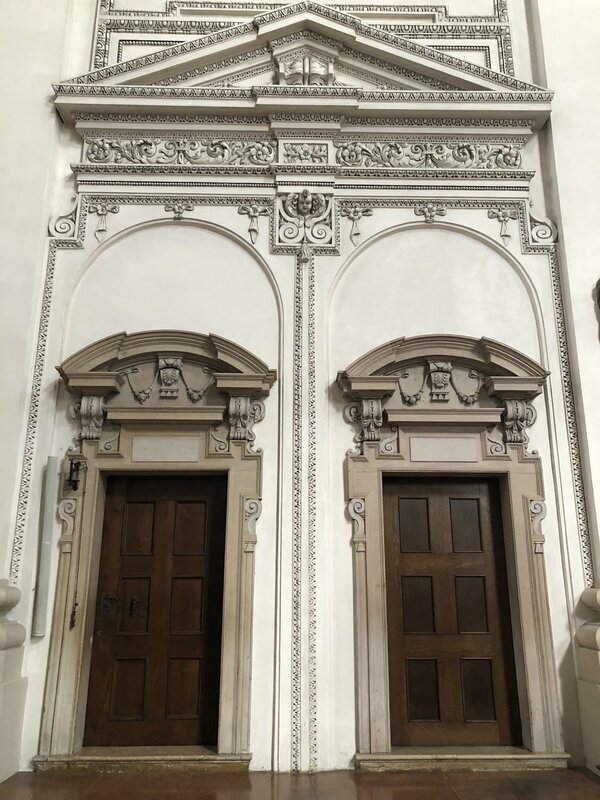 I jokingly said to Spencer, “I should start an Instagram account called ‘Doors of Austria.’ I wasn’t really kidding, though! I haven’t made the account (yet), but I took enough photographs to fill a whole album, haha. They’re gorgeous! The historian in me wanted to know all the stories behind them. Next stop: the Italian Alps! 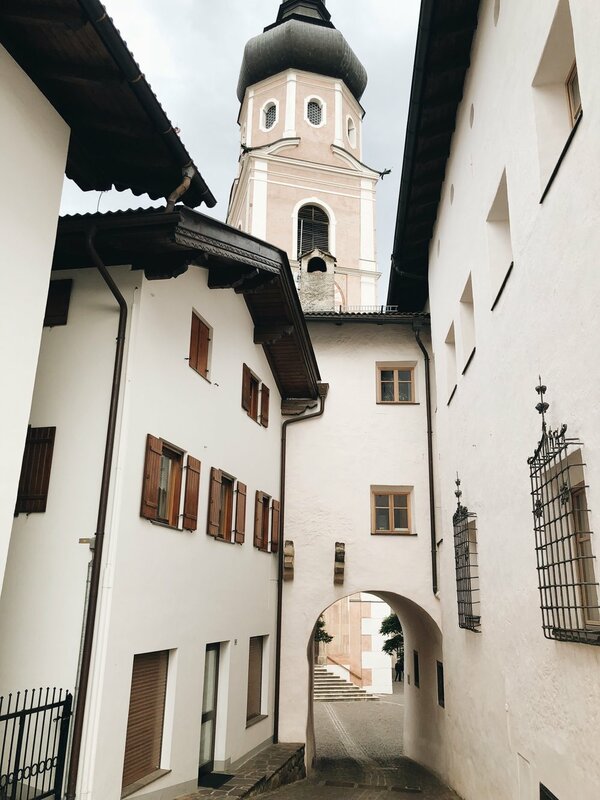 Castelrotto (also known as ‘Kastelruth’), Italy is an amazing little town nestled up next to the breathtaking Dolomites - the Italian Alps. the best meal in castelrotto - the co-op! While in Castelrotto, we went on a hunt for a quick bite to eat - and ended up finding our favorite meal in town: sandwiches at the Co-Op! Read Spencer’s story all about this little deli, and our infatuation with their fixings. After leaving Castelrotto, we traveled by bus to Germany. 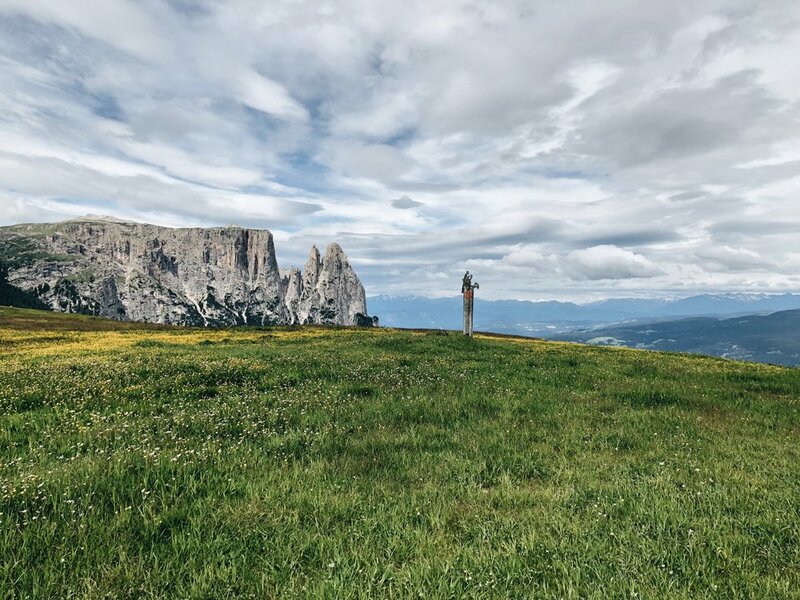 For those who were daring, like Spencer, we stopped at the Zugspitze – Germany's highest peak (to save a bit of money - and anxiety, Anne stayed back with some of the others). Then, we traveled on to the Bavaria region of Germany, and the small, recreational town of Füssen. It was here we visited the amazing Neuschwanstein Castle, explored more by bike, took a fast ride on a luge, and were introduced to the ümlaut (the u with the dots over it, haha). The color of the Lech River in Füssen, Germany is absolutely incredible. This walk by the river is so peaceful; I stopped and watched a bird for a few minutes, and then realized, when was the last time I did something like this? There is so much birdsong here, and then it made complete sense to me once I found out that there is a Franciscan monastery about 50 yards away from the river bed (behind me, when I’m looking at this view). You know, cause St. Francis could talk to birds! Isn’t that cool? 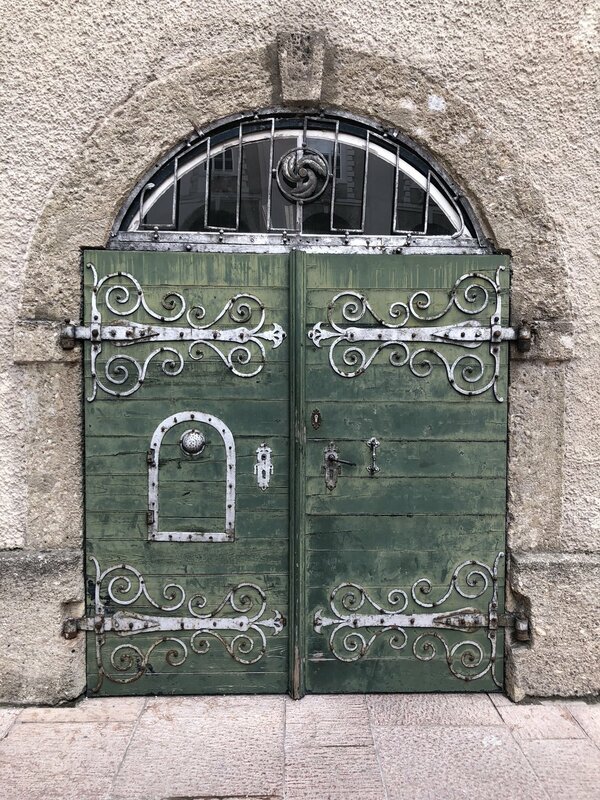 For us, Füssen was all about outdoor fun. 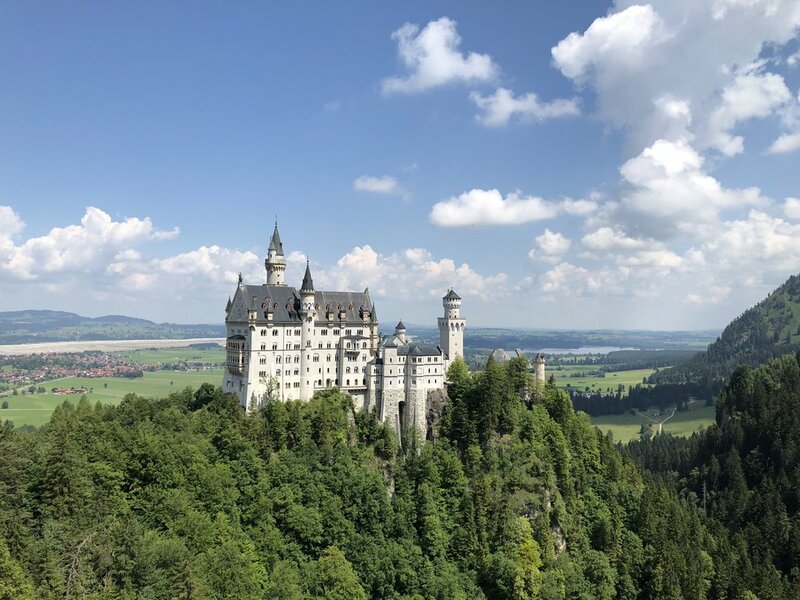 We rode bikes all around town for hours, hiked up to the bridge overlooking Neuschwanstein Castle, watched hang gliders take off at the top of the Tegelberg, and took several fast rides on a luge. Read Spencer’s recap. The biggest mountains we’ve ever seen! After the Italian Dolomites, we thought we knew what the rest of the Alps were going to look like. Wrong again! The mountains in the Lauterbrunnen Valley in Switzerland were absolutely massive. So big, they gave Anne a few panic attacks! Ha! Never before have we felt the majesty of nature in such full force. These are the kind of peaks that really make you come face to face with the scope of the universe, and just how small we are in it. And the little villages on the sides of these mountains are a wonder. Our first day in Lauterbrunnen, we were blessed with amazing weather. We hopped up the bus as quick as we could, checked into our hotel, and scrambled back out the door to go for a hike before the sun went down. And again, our expectations about the sheer size and scope of the Alps were blown away. There isn’t anywhere on earth like this place. It’s magical. We went on a hike from Grütschalp to Mürren, had an encounter with a herd of cows, talked a lot about Carl Sagan (ha! ), and had the best dinner we’ve ever had in Europe. I’ve said before that, even though the My Way tour is more independent, our tour group really hit it off! Even though we didn’t have to spend time together, we’d find ourselves hanging out quite a bit! The World Cup was going on while we were on tour, so we watched a lot of exciting matches together. And in Lauterbrunnen, we played a lot of chess. Early in the morning on our first full day in Lauterbrunnen, we woke up early to catch the first gondola up to the top of the Schilthorn, elevation 9,744 ft. Going so early in the morning, it was magically quiet and so awe-inspiring. Funnily enough, they also shot a James Bond movie here! 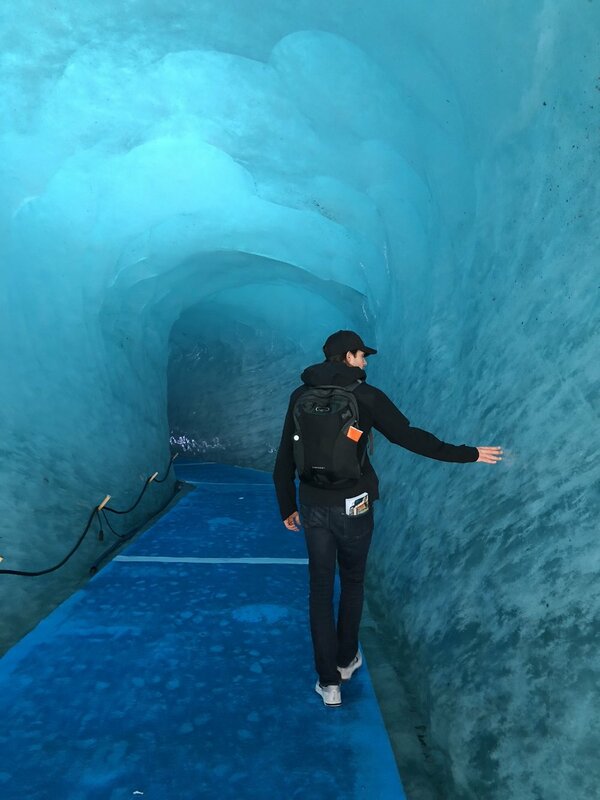 Read Spencer’s post for a recap of this amazing excursion. and the breathtaking view of the waterfall from our hotel room! On our last day in Lauterbrunnen, we rode the train from the valley floor up to a little town called Wengen. And we just wandered. We found a cheese shop, built a picnic, found a bench, and chatted. It was a memory we will never forget, a moment where we realized once again how much we love each other, and how much we love traveling together. Read Spencer’s post all about this sweet memory. Chamonix, France was our last stop, and boy - did we go out with a bang! Spencer kept commenting that this little French town felt like mountains town we’re used to in our home state of Colorado, and then we found out that Chamonix’s sister city is Aspen, Colorado! 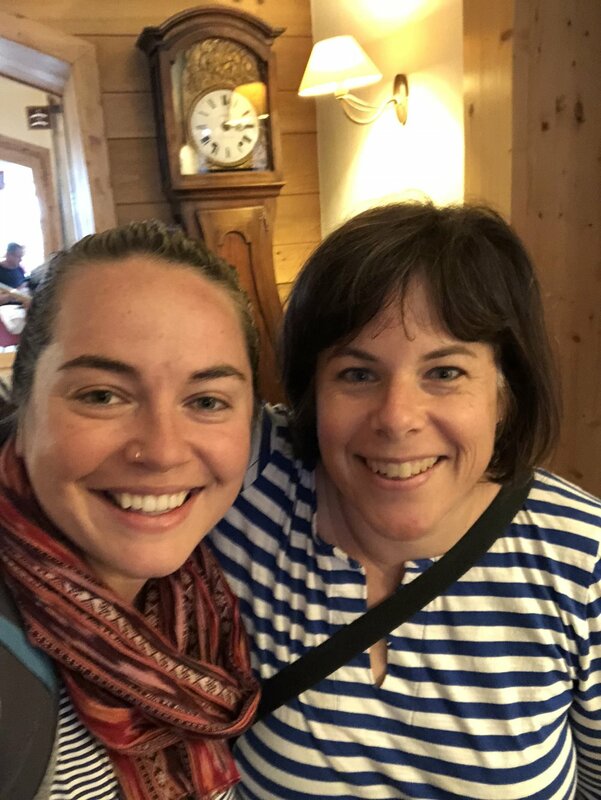 In Chamonix, Anne tried her best to remember her high school French, we had the best burger ever, challenged ourselves to go ride to the top of the Aguille du Midi (where we coincidentally ran into people we knew!! How crazy is that? ), and drank lots of limoncello. The Aguille du Midi is the tallest peak we’ve ever summited (by cable car, of course! ), and it was pretty scary at times! But wow, what a view! And the most incredible, unlikely thing happened at the top: we ran into people from our 2016 Rick Steves tour of Italy! What are the odds! From where I am currently: It’s raining outside now, and our restaurant gave us homemade limoncello after we signed our bill. We walked home as it sprinkled on my shoulders, and there was lightning in the distance. I’m trying my best to speak French. Though I studied the language for close to 10 years, I remember so little. It’s coming back to me slowly. Two years ago, I spent my first 4th of July out of the country (at the Vatican) and here I am again. I like doing this because it throws my country into relief. It gives me perspective. There is a lot to change and improve, but a lot to be thankful for. I am just thankful to be alive right now, meeting new people and seeing the beautiful earth. From my limoncello-softened heart to yours, I love you. Our amazing tour manager, Gretchen, played a large role in making our trip through the Alps a success. Patient, kind, adventurous, funny, and professional, she helped open our eyes to a really special part of the world, and taught us an important lesson that we didn’t expect to learn on this trip: independent travel doesn’t have to be isolating. If we greet the day with a positive attitude, empathy, and a willingness to meet new people, the doors of Europe will fly right open, and new friends will present themselves. Anne really appreciated a conversation she had with Gretchen on their last day in Chamonix. Sitting in the lounge of the hotel, they chatted about Rick Steves’ Europe as a company from a sociological perspective, and the life-changing experiences travelers have on these tours. Do they go home and order their lives by what they’ve learned? Or does their charismatic experience slip away? Both Anne and Gretchen agreed that there is variability in every experience, but it’s fair to say that Rick Steves travelers are a special group (the tour reunions are a great sign of that!). Anne left with a lot of good questions to ponder. So long Alps, hello Paris! After our tour of the Alps, we flew from Geneva to Paris. 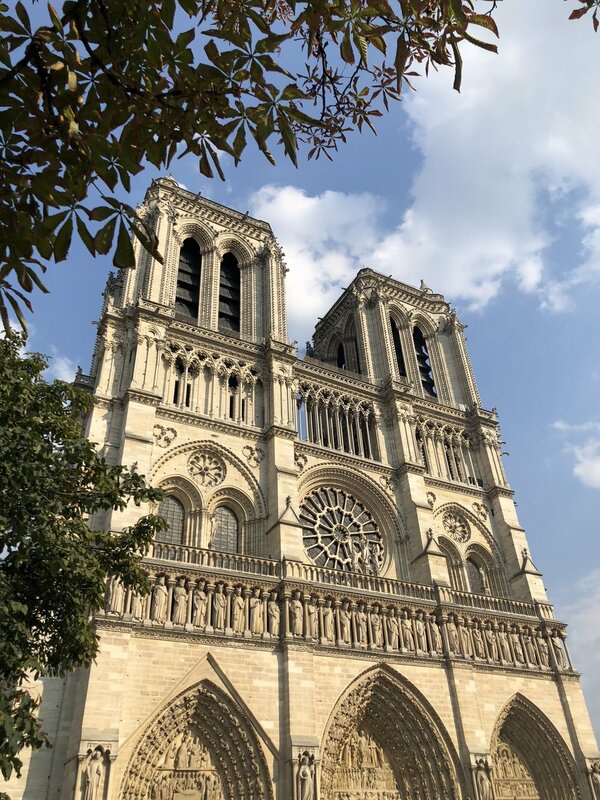 Having never been there before, we were eager to put our Rick Steves skills to good use, and explore more of beautiful France. We definitely were pretty tired after our time in the Alps, and maybe next time, we’ll shorten our post-trip trip a bit, but it was really wonderful to visit Paris, nevertheless. Watching the World Cup Semi-Final when France played while we were in Paris! It was madness and so. much. fun! People flooded the streets when France won, and were even climbing on top of cars. Watch the video below! Allez les bleus! The best sandwich ever at Chez Alain in the Marais. Seriously, Food and Wine magazine wrote about this sandwich. It’s legendary. 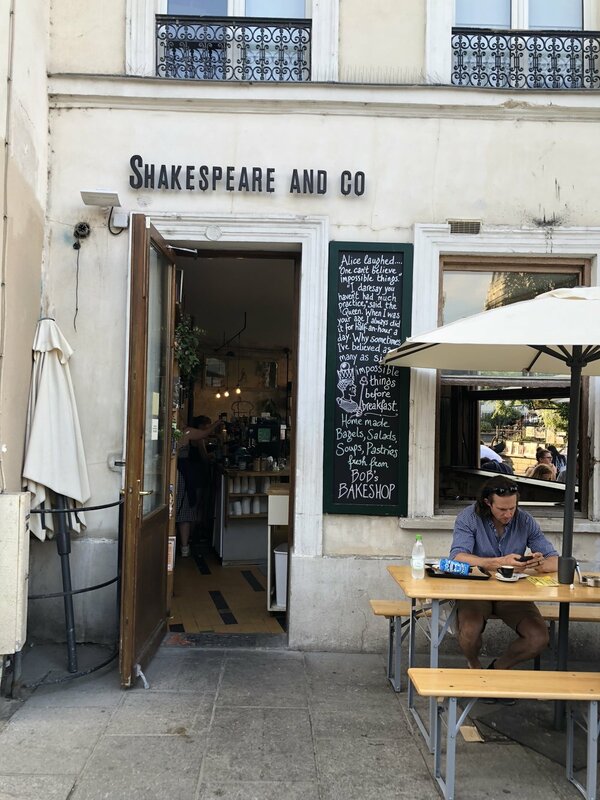 Reading Ernest Hemingway’s A Moveable Feast after visiting Shakespeare & Co. Visiting the Louvre on a Friday night when it was nearly empty - no lines to see the Mona Lisa! Spencer and Chef Alain at his new brick-and-mortar sandwich shop in the Marais neighborhood of Paris. Hemingway and Shakespeare & Co.
Until we meet again Europe, we love you! And Rick, we promise to keep on travelin’!